Since Charly is pregnant, I thought this would be a really cute gift for my mom. I am filling it with pictures of the kids and my nieces and nephew. With Mother's Day coming up soon, I wanted to do something special for her! Which is why I am using the Blurb Designer Instant book template to make a professional quality photo book filled with memories for my mom. Instant Books are easy to create, take about an hour, and start at just $12.99. This is definitely a present she will leave on the coffee table for everyone to see each and every day! 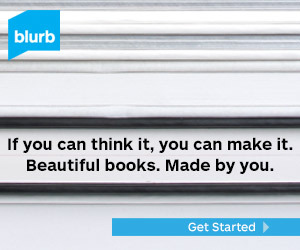 Start creating your Blurb Designer Instant Book today and save 20% with promo code LOVEYOUMOM valid through 5/10/13! This is such a cute idea, and I can't wait to make one for her in the fall with the new baby in the pictures. I think that will be one of her Christmas gifts. I hope this helps with fun idea for a Mother's Day Gift for your mom also. This is a sponsored ad, but all opinions are my own. I also only endorse products that I truly believe in.